I usually don't write myself poems about celebrations... my 13th year of sobriety was different. It was truly a long year and I battle my mind and emotional drunkenness.. I knew my marriage was over yet for some unknown reason I kept trying to make it work... this is what I wrote as an intro to this poem four years ago. 13 years ago this weekend was the last time I got drunk. This year, was a challenge for me. Not that I wanted to drink, I was just becoming to edgy, wanting control, and basically not being "spiritually centered." 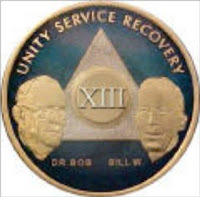 This year more than ever I got down on my knees and thanked my Higher Power for this wonderful gift - sobriety. It hasn't always been easy, but one thing is for sure - it's been real! Congratulations and what a wonderful milestone to celebrate with a great write to others to give them inspiration to try. Good. Very much so. I quit smoking AND Jim Beam on the same day about ten years ago . . . Gotta love it . . .